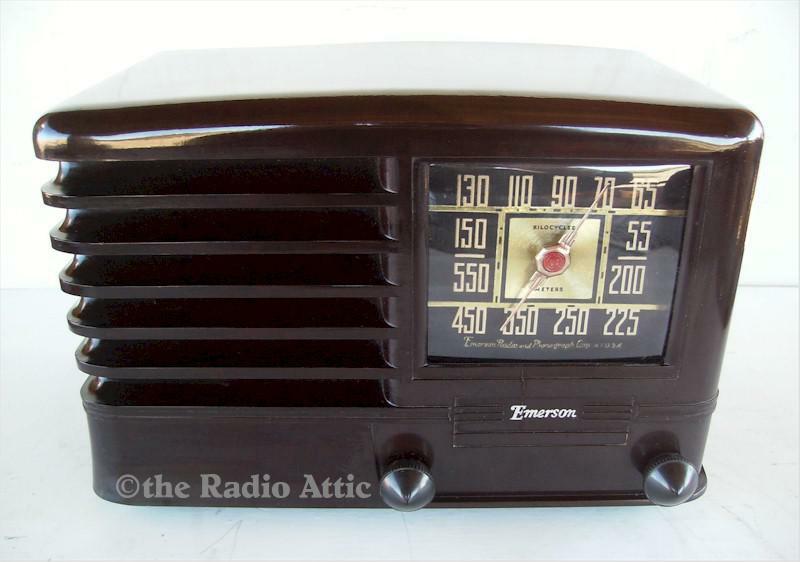 This Bakelite radio dates from 1940. It has a pleasing design in marbleized brown with black knobs. There is a hairline at the dial base to the letter E as shown. It has a new clear dial cover which enhances the overall appearance. The chassis is clean and has been serviced. The set plays and displays well. 11-1/2"W x 7-1/2"H x 6-1/2"D.